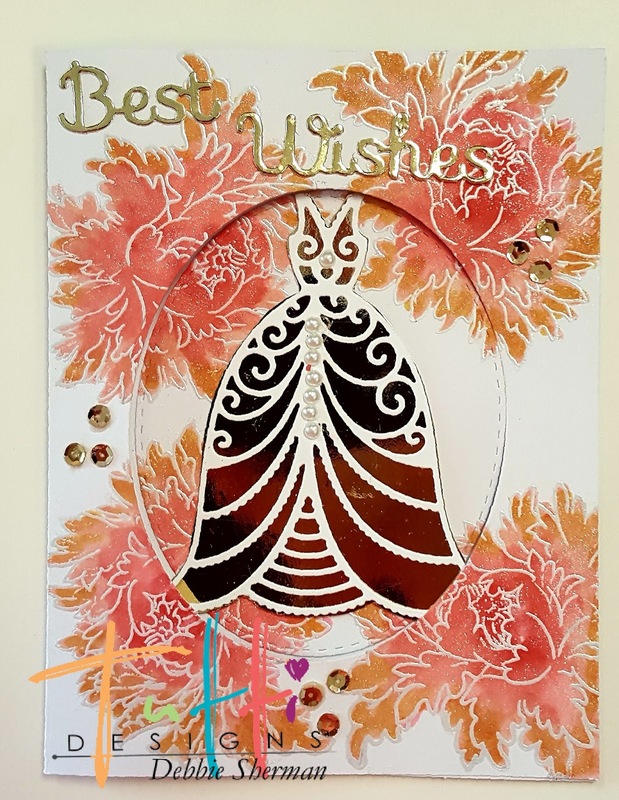 To make this card I stamped and colored my flowers and then centered the largest Nesting Stitched Oval on the front panel of the card and taped it down and ran it through my die cutting machine. This gave me the center oval for the inside panel of the card. I adhered that to the inside. The store has several basic shaped stitched dies and I can't tell you how much I use these dies, they are an everyday staple for scrap booking and card making! I die cut the April Release of the Wedding Dress. 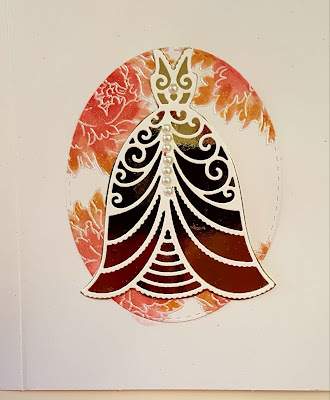 I adhered some gold card stock to the back of the dress and fussy cut it around the dress. Embellish your card with sequins and I added pearls to the front of the dress. OH WOW this is just gorgeous Debbie! 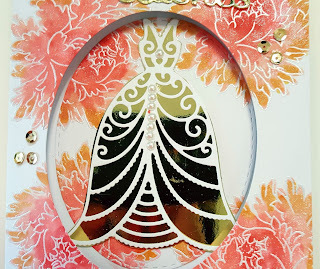 What a fabulous use of dies! Thanks for inspiration!